As we reach near the end of Mental Health Awareness Month, AGI is continuing to emphasize the importance of mental health. 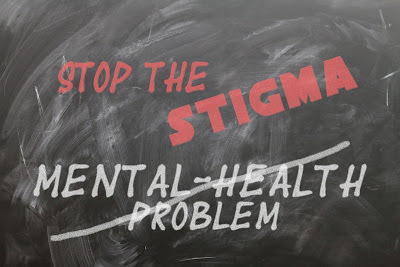 Mental health, whether it’s the month of May or not, should always be discussed within communities in order to digest any information or tips for patients that may be in need of assistance in regards to their mental health. Offering these services via specialty vehicles has not only created an impact on the importance of mental health, but it’s also helping those who may be unable to afford healthcare. In fact, there’s been recent discussion about the effects that poverty may leave in regards to our mental health. This connection has only recently been studied within the past 25 years. According to NPR, “studies have found connections between mental illness and poverty-associated conditions, such as not having enough to eat, not making enough money to live on and having a greater chance of developing risks for physical illnesses.” Communities around the world are affected by poverty and more recently, we’re finding out that the effects of poverty can lead to mental health issues such as depression. It is therefore important to not only create awareness for mental health, but also help those who need food and shelter. 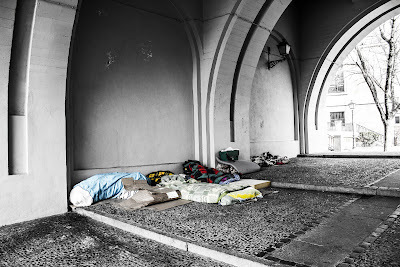 There is a correlation between mental health and poverty. NPR states that in some cases even, those who have mental health disorders such as schizophrenia have a higher chance of living in poor conditions. Although mental health disorders are not selective, and can occur to anyone, even Prince Harry, there is a stigma that continues to taunt topics on mental health. Poverty, however, creates a higher risk of levels of stress, especially in children. Because they grow up in poverty-stricken communities, children are prone to have a higher chance of mental health problems. Furthermore, the stigma behind mental health may create a higher chance of bullying in school for these kids. It is therefore important to provide communities the ability to learn more, such as at mobile clinics, where there are affordable and accessible programs that both children and adults may visit to not only have the opportunity to be aware of their physical health, but mental health as well. The researchers saw more improvement when they looked at the impact of intervention programs aimed at improving the mental health of people living in poverty. The interventions they reviewed varied from administration of psychiatric drugs, to community-based rehabilitation programs, to individual or group psychotherapy, to residential drug treatment, to family education. They also looked at the impact of mental health help on the rate and duration of employment and on family finances. Here they found financial situations improved as their mental health improved. It’s therefore important to not only discuss health topics when participating in mobile clinic programs, but also to allow an open mindedness of how patient’s backgrounds and living situations could potentially be a threat to their own health. Participating in programs that will help their health will ultimately result for a higher chance for their living situations also to improve. Living in poor condition may increase mental health risks, but for those that have even a small chance of getting help, communities can work together to create a mobile resource center that can provide necessities such as food. Having a mobile soup kitchen can help create a source for people in need of a hot meal and also lower mental health risks from children all the way to adults. Whether they are at risk or have a mental health disorder, providing food for those in need is not only helping the community, but it’s bringing them together by helping each other essentially live.